Are you a serious gamer? Are you in search of a gaming earbuds that will assure you comfort when you enjoy your game? According to many people who have used traditional earbuds for a long time, they do not offer the comfort they are supposed to give. This is especially so, when they are inserted in a person’s ear for a long time. However, this is bound to change when you will have a look at the following 10 high-end gaming earbuds ever made that have been specifically designed to offer you the comfort that you have yearned for over the yearned for over the years. Here is a comprehensive list that you might find helpful. This is basically for those who do not want to show off that they are really gamers who would want to be known. 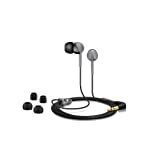 The GranVela sound isolating earbud has an in-ear earphone. Besides, it is equipped with a microphone that is omni-directional. 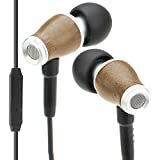 Among the notable features of this earbud is its ability to isolate passive noise, contains a sleek, and has an extended bass output that will amaze you. 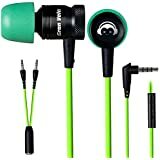 Outstandingly, GranVela gaming earbuds has 3 adapters that are uniquely designed to support audio for a number of devices. You can use this for your gaming as well as for communicating. While other earbuds have the ability to serve you in multiple functions, there are those that are specifically designed for gaming. Razer Hammerhead Pro is that earbud. 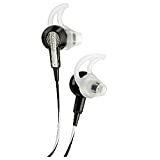 To guarantee you durability, this type of earbud, is built with light aluminum. 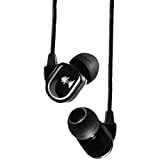 Additionally, you will realize that the earbuds have an inbuilt acoustic chamber that will give you the clarity, and the kind of optimized bass that is quite different from other gaming earbuds. Yes, they indeed produce hammering bass that you desire. In order complement its splendor, Hammerhead Pro comes in a pack that every gamer would love to have. There is however one setback that you may not like: Hammerhead Pro does not have inline volume control and many people claim that the mic is not quite good when it comes to picking voice. Indeed this is one earbud that you will not miss to own. True to its name, you will use this earbud in listening to music and play your games as much as you wish. SteelSeries comes in large, medium and small sizes. Perhaps, you have realized that when you wear earbuds for a long time, there will be a lot of discomfort. That is a taboo with this type of earbuds. They are extremely comfortable. The three-pole jack of 3.5mm that can fit your Mac is an added advantage. Although they are designed to be worn in the ear, there is also the aspect of over the ear that you will no doubt love. The package is the last thing that I am sure you will admire since it securely accommodates the cable, ear tips and headset. For those who want to immerse themselves in the game, this is the perfect choice of earbud. Sony PlayStation Vita comes with 3 different ear tips to select from. Besides, the colors are amazing! This type of earbud has a spectacular passive noise isolation that will ensure you have a total concentration of the game. Using an inline switch, you can mute your earbud. This way, your enemies will not fathom of your success. Although it is ideally meant for play station, there is no harm in using it with other devices that are compatible. 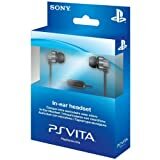 Once you own this PlayStation Vita earbud, you will not have any reason to fail in your game. In case you are the kind of person who loves premium audio quality, you do not have a reason to panic. Turtle Beach erabuds come with 10mm drivers that have neodymium magnets. These ensure that the quality of sound is not compromised. In order to combat any distractions that may be as a result of ambient noises, the earbud is fitted with a noise isolation feature that will ensure you concentrate on the winning. Often times, friends and relatives may be calling to know about your state, you will not be overly disturbed since you will use the in-line microphone that will allow you to do chatting even when you are in the heart of your gaming without losing the grip of it. 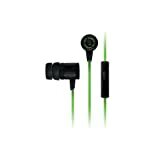 In order to offer you the comfort, the earbud is designed in a manner that enhances stability. The ear tip is round so as to give you the comfort when it is fitted. You might be surprised to learn that the earbud has an interchangeable ear gel. That is a fact! Yes, this is the right gaming earbud for a serious gamer. This is indeed one of the high fidelity gaming earbuds the world has ever made. You will not regret whatever little or much you spend on this earbud. It is made in a way that every pair of WDs gives you the comfort you so deserve. This is made possible by its silicon ear gel that is customizable. 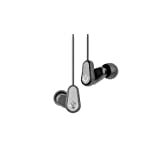 Whereas other earbuds have less than 5mm drivers, this type comes with whooping 8mm drivers. A deep bass and high voice clarity are what can describe this earbud. Besides, it is equipped with an in-line microphone that has the ability to play/pause with an added advantage of calling your family and friends without necessarily distracting yourself. 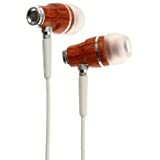 The Natural Wood nature of this earbud makes it possible to be used in almost all devices whose ports are compatible. Many are indeed compatible. Did you think that Panasonic is a brand that dealing with radios, cell phones TVs, microwave oven, and refrigerators? If so, you are far from being right. Panasonic has a long record of coming up with some of the most amazing gaming earbuds. 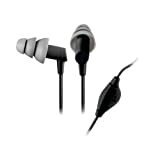 Those who have used this type of earbud can attest that it is one of the best. With drivers measuring 9mm in diameter, this should entice you to purchase them if you have not. Perhaps the most tantalizing thing you might find from this earbud is its impedance which is measured at 16 1kHz/ohm. For ultimate comfort ability, it has an ergo-fit design. With these features, you should not complain but win the game. Although this item is scarce to find in many online shops because of unknown reasons, you can rest be assured that the few that are already in circulation will give you the ultimate pleasure you have dreamed for while gaming. The earbud comes with amazing features such as tract selection, voice applications and remote control (three-button) among many fulfilling features. 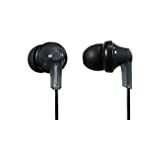 It is best earbud when used on Windows and iPhones such as Apple and Samsung Galaxy phones. The original Bose MIE2 is not the same again since it has been improved to meet modern gaming standards. Among the things that have been improved is the inline microphone is now clearer as compared to the one that was there before. Before you say that you could not find your piece from any shops, why don’t you try Amazon.com? I am sure you will get one. This silver in color earbud is outstanding. It comes with 13mm Neodymium drivers. This is something that is rare with many gaming earbuds in the market. Most of those who go for it, actually value this more than any other feature. Though it has a limited warranty, you should not be deterred from realizing the good that comes with it. The in-line microphone has a volume control which ensures that nobody eavesdrops to your conversations. With a 3.5mm adapter cable, you are likely to find it possible to connect most devices and enjoy whatever it is you want to. Additionally, nit comes with a tangle-free cord. It is also affordable. Although this earbud comes last in the list of 10 high-end gaming earbuds, do not take it for granted. You might be surprised that many people use this when gaming. In fact, your neighbor might be fixing them right now. What is unique about EDGE GX400 gaming earbud that others do not have? The noise isolation feature is unique that it has the ability to separate and bar industrial noise to penetrate your eardrums. Isn’t it a good feature? The in-line controls are another feature that you will no doubt find helpful. They include a clear microphone, a volume adjuster and mute/unmute button. The black color is universal. That means you are able to disguise yourself. The earbud’s highest response to accuracy when gaming and chatting will encourage you to go for it. Trust me, it is portable. 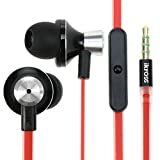 They are the best 10 earbuds with mic for Android. Most earbuds come with sound isolation compartment. This is crucial to any gamer. 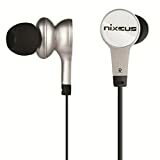 Most earbuds are fitted with in-line microphones and several sound control features that help to detect very fine game sounds that you would not detect otherwise. Compatibility with several gaming devices is another advantage of using earbuds. Many are made in a way that matches several devices in the market. Maybe you are wondering, how do I get the earbud of my choice? Well, it is simple: after ascertaining your budget, it is time to go straight to the world’s renowned online shop amazon.com Just type the name of gaming earbud you have settled on and upon finishing your transaction, which in most cases do not involve shipping fees, wait for it to be delivered right at your door. After receiving your earbuds, good luck in your next game. There are no regrets of using gaming earbuds. If you have not tried, this is the right time. You will not go back to traditional headphones.